The Boston ST double blade pickup is a high quality dual coil transducer, based on two ceramic magnets. 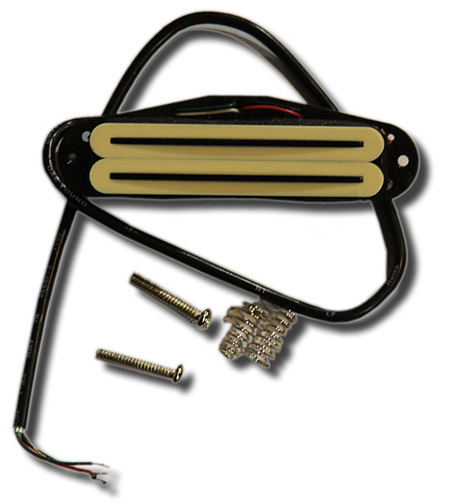 The pickup mounts in a single coil slot, and has more output than a standard ST pickup. Four wire , enabling coil tap circuitry. The high output is great for classic rock, garage, punk, heavy rock, thrash,classic metal and nu-metal. Full fat sound and incredible sustain!